We depend on our homes and business buildings to protect us and our belongings from the elements. We also depend on the interior systems to provide us water, heat, and other conveniences. In today’s blog, we want to explore the places where water damage can happen and how it can be prevented. The exterior of your home or business is tasked with keeping a majority of the elements outside where they belong. Of all the elements, water is one of the most dangerous to any building, so it is absolutely essential that the building’s exterior is both designed and equipped to shed it. Water shedding happens from the roof down, and many people understand this. However, they often forget about what happens to the water once it hits the ground, which is just as important. Your roof is an intricate yet tough system that doesn’t work if one part of it breaks down. Though the shingles are the most visible element, they are only one part. Flashings, paper, skylights, vents, gutters, and overall design all come into play as well. Modern roofing techniques result in systems that can stand the test of time with plenty of grace, but they need careful monitoring and maintenance to do so. Getting your roof inspected by a professional on a regular basis is a great way to stay in touch with your roof and prevent minor issues from developing into expensive ones. A good inspector will be sure to look at your gutters, which is very important. Without gutters, all the water shed by your roof will fall down around your foundation and wear the ground away, leading to pools of water that can take your whole structure down by undermining the foundation. Make sure your gutters stay clear so they can do their job, too. Make sure water drains away from your house. The grade of the ground around your building. No matter what type of landscaping you have around your structure, it should always slant down away from the house. This will encourage water to move toward the street instead of into and under the foundation. The slant applies whether you have rocks, plant beds, or a paved patio. When it comes to plantings near a foundation, grass is a better choice than flowers because it tends to shed water rather than absorb it. Even when your roof keeps all the moisture out, if your plumbing is messed up or a flood rolls through, you’ve got water problems inside. 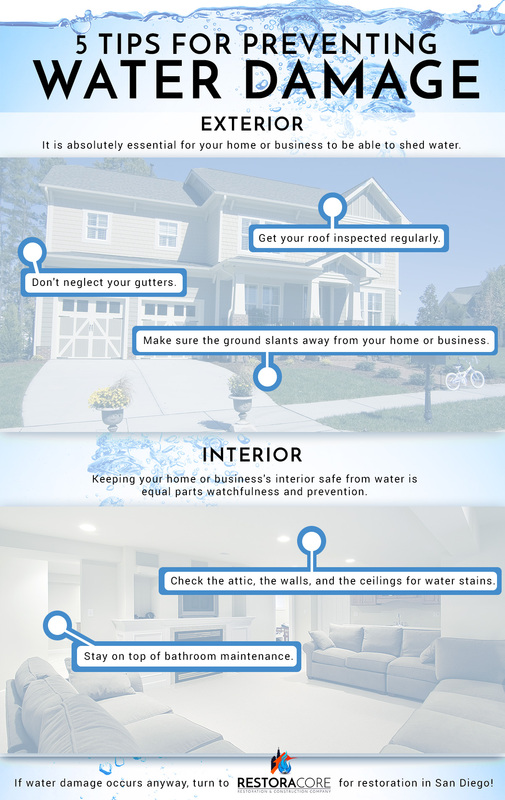 Keeping your home or business’s interior safe from water is equal parts watchfulness and prevention. There are several key locations to keep on your radar. Check the attic, the walls, and the ceilings. When your roof is having trouble, the first sign you may see is water damage on your ceilings, walls, or up in the attic. Keep an eye out for suspicious stains and understand that extensive damage can happen before they show up. That is why it is a good idea to check on your attic every so often. When you do, make sure the vents aren’t clogged with leaves or other twigs. Stay on top of bathroom maintenance. This room can be a real trouble spot when it comes to moisture if it isn’t taken care of. Keep an eye on the grout and caulk in your shower to make sure all excess moisture is going to down the drain or being ventilated rather than getting behind the walls and causing damage. Make sure your bathroom has a fan and take the time to dry off the tile and tub with a towel. We have more tips for keeping the great indoors clear of water damage, but we’ll share them in another blog. For now, know that if you run into any kind of water damage, our team is here to help make everything like new again. 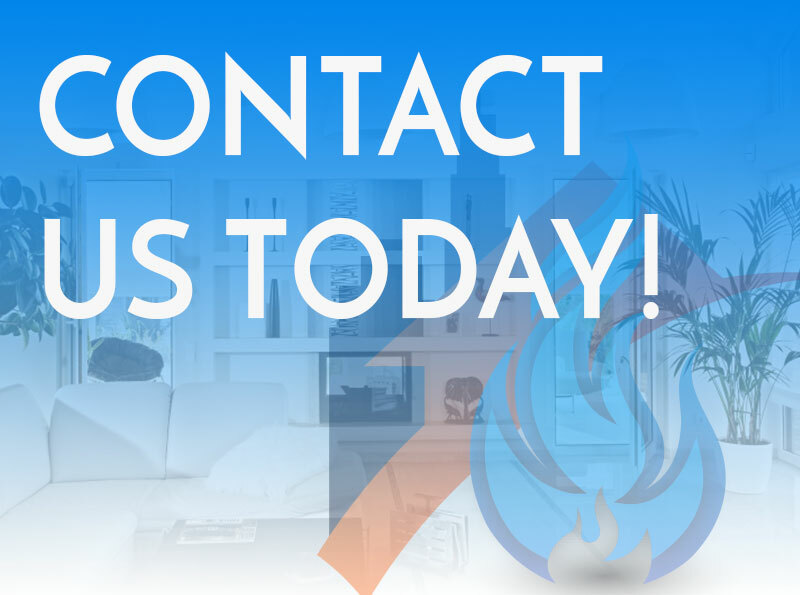 Contact us for outstanding water damage restoration in San Diego!